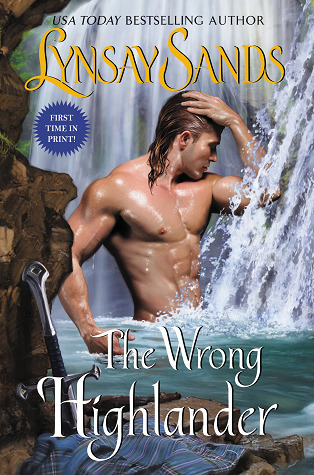 The Wrong Highlander by Lynsay Sands is an incredible Scottish adventure. From kidnapping a handsome Highlander to saving family, these Highlanders have their hands full. A young unmarried woman thought she kidnapped the right man. Turned out, it was his brother who also knew how to act in as a healer. Saved her da’s life and then, working to save hers, Conran falls helplessly in love with the red hair beauty. Lady Evina is quick with a sword, a good horse rider, and clever as she is beautiful. It didn’t surprise me that the two would eventually fall in love. But getting to that point was difficult with a murderer running somewhere around the castle. Family and trust were strong themes found on these pages. They tied in well with the plot. Plenty of action, heat, and mystery to keep my interest. Overall, I recommend this novel to all.